Escape to south Sulawesi for an enriching discovery of epic proportions. Spend three days with in Toraja villages, getting an intimate look at the unique customs of this indigenous ethnic group. 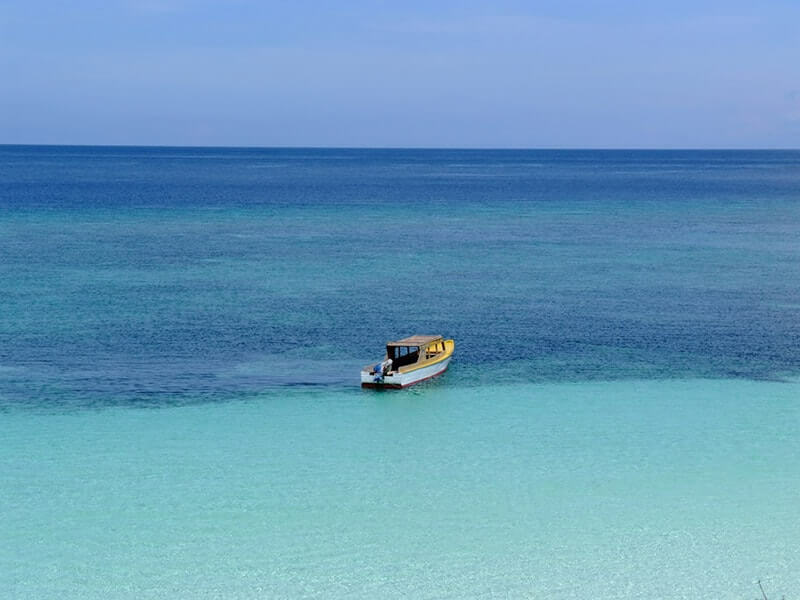 Then venture through Sulawesi’s south to explore traditional Bugis culture, visit fishing villages, swim in tropical Bira Beach and much more. Take in the beauty of the highlands while discovering Sengkang and Toraja’s special cultural heritage on this adventurous multi-day tour. Upon your arrival, a guide and driver are awaiting to transfer you to your hotel in the city center of Makasar for check in. Your South Sulawesi Discovery starts at the Losari Beach, a bustling local hub. As a major port city, you won’t be able to swim here, but taking part in the rhythm of the city makes for an interesting stop. Learn more about the four different ethnicities of South Sulawesi, passing landmarks and statues with your local guide. 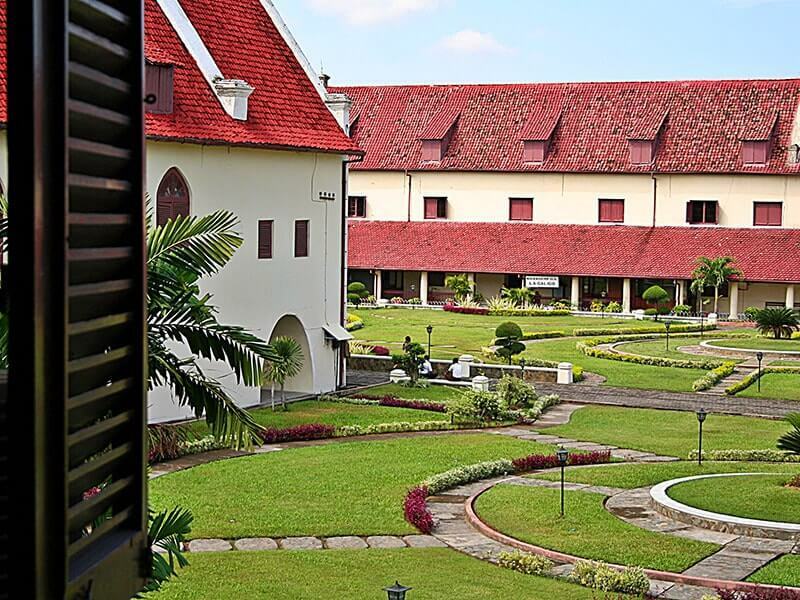 Continue to city’s most iconic landmark, Fort Rotterdam. Recently refurbished it is perhaps one of the best preserved Dutch forts in all Indonesia. 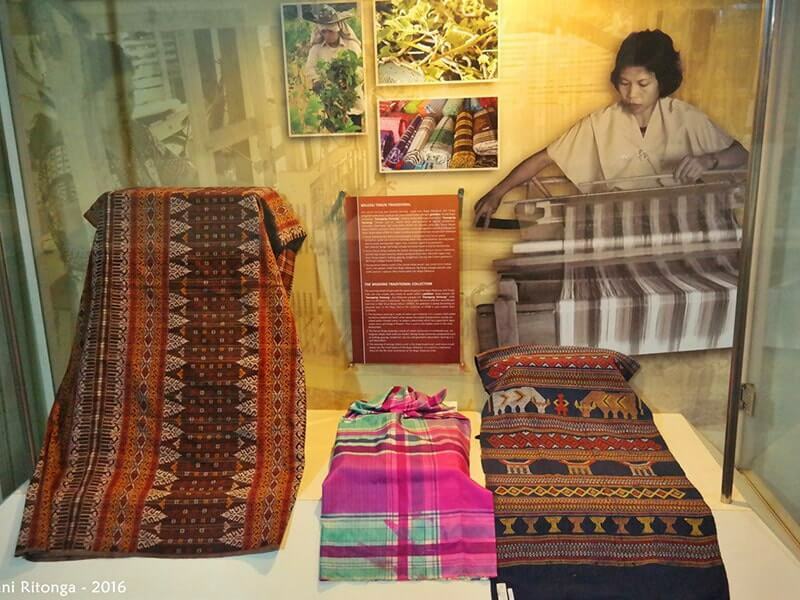 Learn more about the diversity of Sulawesi at the La Galio Museum. Afterwards, drive to Paotere traditional harbour and see a Phinisi boat up close. Enjoy our welcome dinner then return to hotel. Overnight in Makassar. Note: Depending on the arrival time a Makassar city tour can be adjusted. Begin your Toraja tour by sitting back and relaxing as you drive up into the hilly region of Tana Toraja, for a day long transfer through the picturesque countryside. Drive along traditional Buginese villages, before stopping at a local restaurant in Pare-Pare for a late lunch. Tuck into a fresh lunch at a seafood restaurant, savouring your crustaceans as you look out onto the beautiful bay view. The drive continues through the hills reaching Rantepao in the late afternoon, stopping to take in spectacular panoramas of Gunung Nona’s stunning hillside. Arrive in the mountainous town of Rantepao in the late afternoon, the centre of your Toraja tour. Rantepao is considered the cultural centre of the Toraja ethnic group, with an estimated population of around 450,000. The Toraja ethnic group is renowned for their elaborate funeral rites, traditional houses and spectacular carving and dancing. Here, spend next two days exploring the Toraja villages and learning about their unique culture and customs. Check into your hotel before enjoying a relaxing free evening before your exploration of the region tomorrow. Dinner at the hotel. Afterwards, head south of Toraja and visit two traditional villages. Start with a visit to Lemo, a hauntingly beautiful burial cliff. 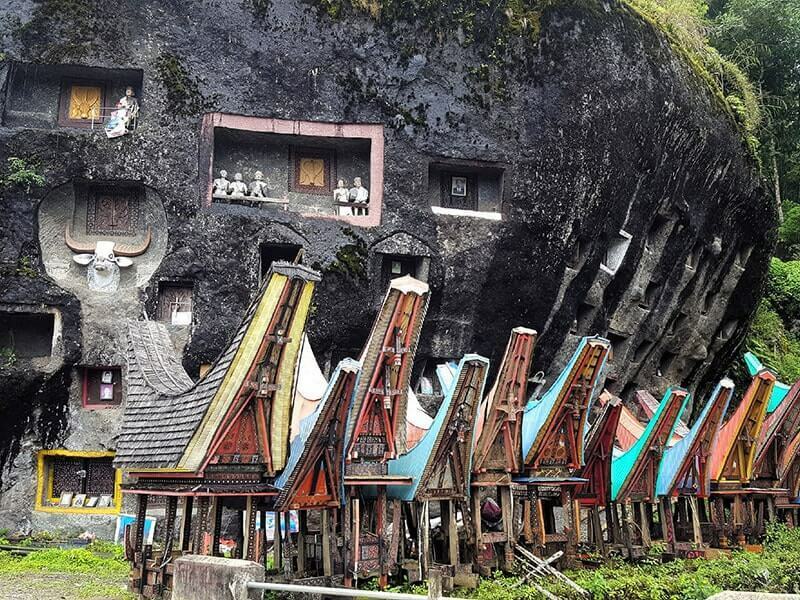 Marvel at the sections of the rock that have been carved out and filled with colourful wooden effigies of the dead, referred to as Tau Tau statues. Learn more about its interesting history, before continuing on to Kambira. Another mesmerizing site, witness Toraja beliefs materialized, at these truly unique graves amongst the trees. In Torajan tradition, a deceased infant must be buried uprights as it is said they will continue to grow with the tree. Lunch is served in a traditional ‘Liong Tongkonan’ (Toraja traditional houses). While enjoying some unique local food, learn about the spiritual elements of ancestral Torajan architecture. After lunch, visit Londa Village where wooden coffins are suspended by ropes and poles extending from the cliffs. Return to Rantepao before setting off towards Ke’te Ke’su, one of the most traditional and well-preserved Toraja villages. Wander along the traditional ancestral homes, known as a Tongkonan, with their distinctive saddle like appearance. Absorb the unique and colourfully detailed woodcarvings of some structures, and learn more about the traditional rites and daily customs of the Toraja before returning to the hotel late in the afternoon. Dinner will be served in the hotel. After the breakfast, unveil more of the majestic beauty and captivating culture of Toraja, as you head off deeper into the highlands. First, stop at Tinambayo for jaw-dropping views of the valley and rice terraces from over a thousand metres above sea level. Snap a few photos before continuing on to Lo'ko Mata Stone Graveyard, another fascinating grave site. What sets Lo'ko Mata Stone Graveyard apart is its sheer size, the immense scale of the gigantic boulder, covered in colourfully decorated wooden doors that house final resting places of departed Torajans. These two villages have ancestral stone circles, part of the local lore of the Toraja people, with each stone representing an important noble who has passed away. They also feature impressive Tongkonan houses which are simply breathtaking. Proceed to Palawa, a typical Toraja village, and on to the highlands of Batutumonga perched on the ridge of Gunung Sesean for stunning views across the Toraja valley. Featuring some of the most stunning and alluring views of the region, take in the enchanting terraced rice paddies, cliffs, forests’ and rolling hills. Wonder at the natural majesty on a short trek through this lush area, working up your appetite for lunch at a local restaurant. Afterwards, see the Bori megalith up close, learning more about the impressive rituals of the Toraja people, such as their menhirs (standing stones). One the way to Rantepao, make a visit to a Todi weaving factory where the ancient technique and motifs for Torajans textile known as Ikat’s are preserved. Dinner will be served in the hotel. 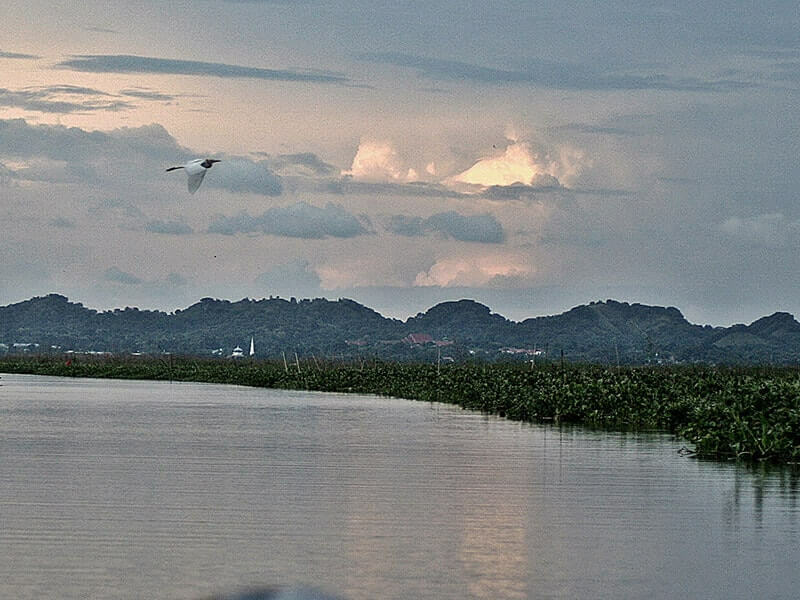 After breakfast in the morning, check out from the hotel and continue for a longer overland drive to Sengkang a former capital of the Bugis Kingdom which overlooks Lake Tempe, the largest lake in Sulawesi. Stop enroute in Enrekang and enjoy a late lunch in a local restaurant. Arrive in Sengkang in the late afternoon. Check in to your hotel in Sengkang before taking advantage of the picturesque scene across Lake Temple on a sunset tour. The Bugis people have a unique housing style -they float on the lake. Take this opportunity to travel on a local longboat to enjoy Bugis hospitality with a cup of tea or coffee, and maybe some fried banana (a favourite snack in Indonesia). There are about 30 houses that remain on the lake. 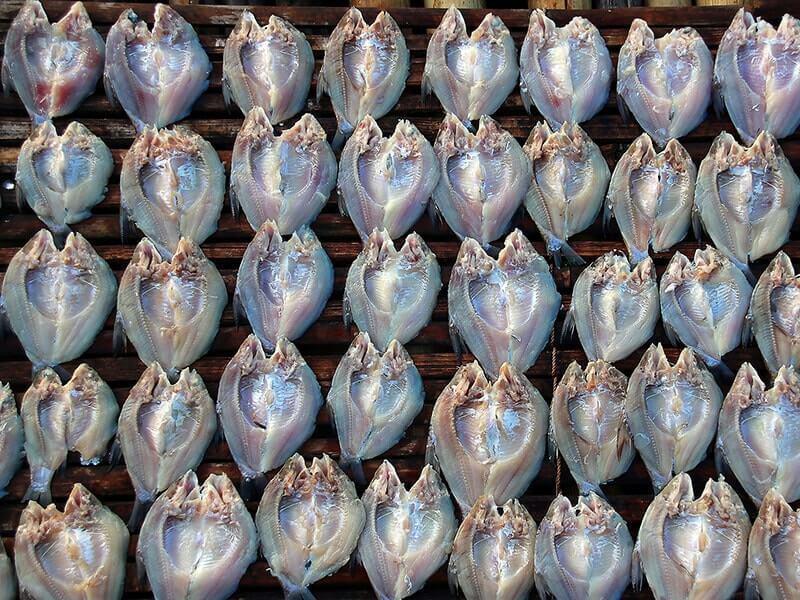 While taking a look around, participate in the old traditions of fishing and fish drying. Enjoy a local Bugis style feast dinner at Rumah Makan Glory while soaking up spectacular views of the surrounding area. After breakfast, and check out and drive to Watampone on the east coast of Sulawesi where early lunch is served in a local restaurant. 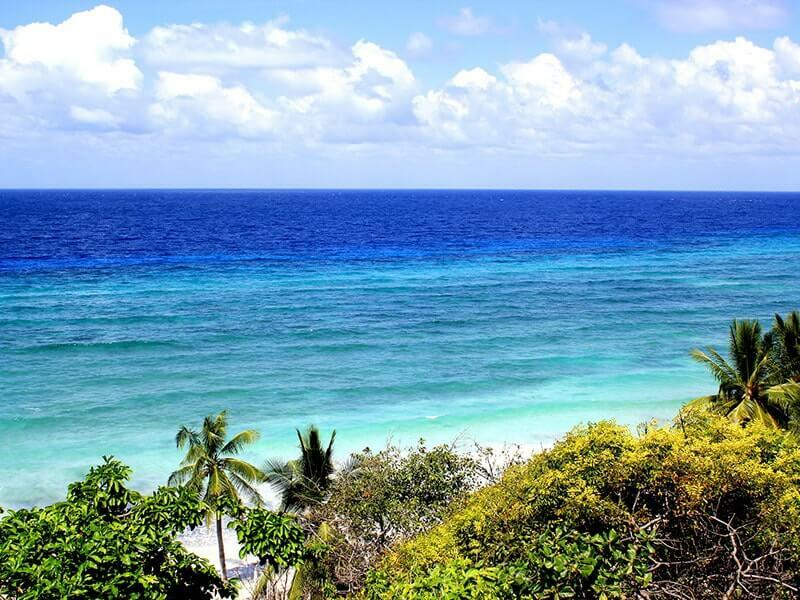 From Watampone we drive further south to Bira Beach, on the south-eastern tip of Sulawesi. On the way there we make a stop in a Bugis village where we can see the process of growing sugar, rice and kakao. 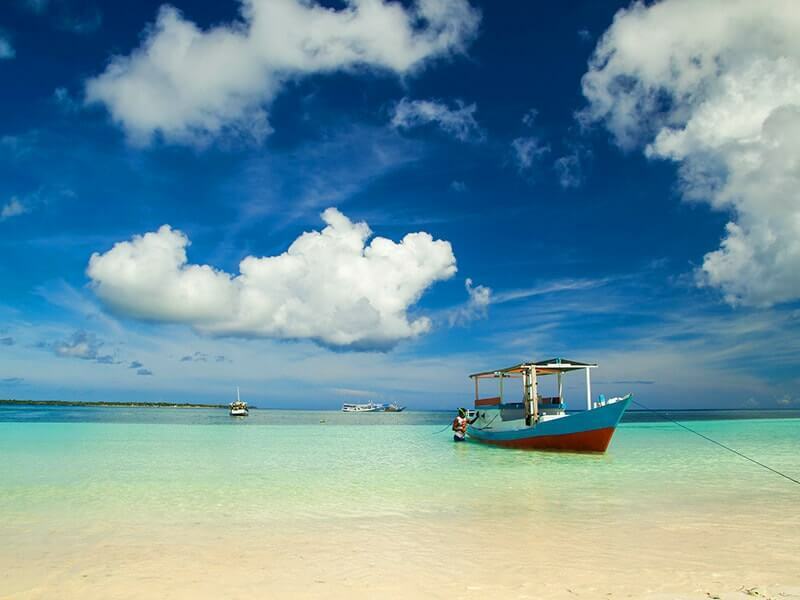 Late in the afternoon, arrive in Bira Beach and check in to the selected hotel. Dinner at leisure. Overnight in your hotel in Bira Beach. This morning after breakfast you go by local fisherboat to the nearby island of Liukan where you can snorkel the pristine coral environment around 25 min offshore. 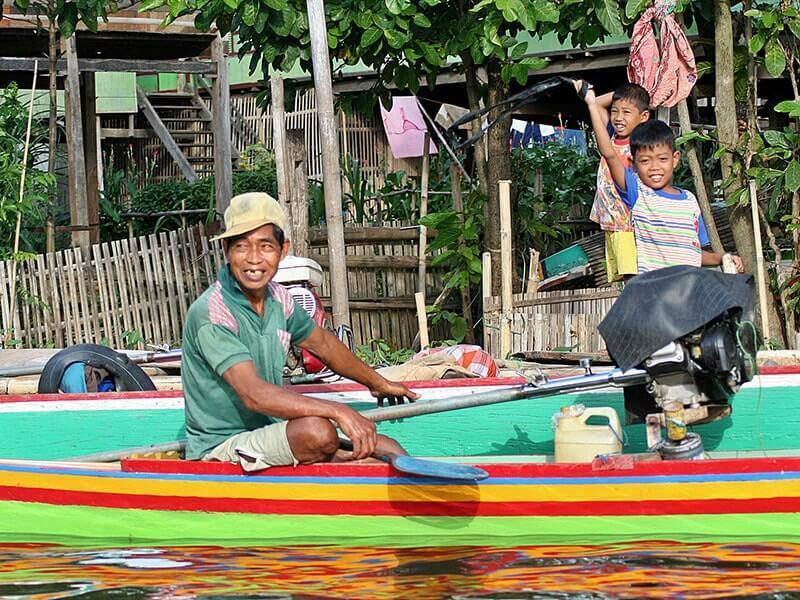 You will also visit the fishing village community of Konjo who are renowned for their weaving and design known as ikat. Remainder of the afternoon is free at leisure. After breakfast at the hotel, spend some time at leisure. Around 9:30, check out then depart along the South coast of Sulawesi towards Makassar. On the way we make a stop at Tanah Beru Village, which is famous for the phinisi-style ships built there following ancient traditional methods. We also stop in the village of Bonto Salluang for a short walk to Bissappu, a 70-metre tall waterfall set in lush tropical surroundings. Upon arrival in Makassar, have late lunch at a local restaurant. After that, our guide and driver will transfer you to the airport for the onward flight.